These aren't true fractals, but approximations because there are limits to what can be drawn and still colored. The top one is a Apollonian Gasket. Since it starts on a triad, a color wheel seemed obvious. The bottom one is the very well known Sierpinski Sieve. 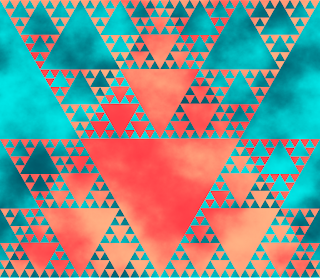 Since it's a triangle, it tessellates naturally, so that's what I did with my colored version. Here are blanks to color. 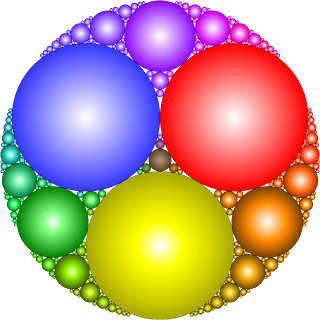 I'm considering putting the Apollonian Gasket color wheel on a shirt at Cafe Press or Zazzle. I made all my Amazon Kindle e-booklets available for borrowing if you're a Prime member. Just go to Amazon and search for Shala Kerrigan. There is one on yeast bread making, one on how to make brick stitch earrings, one of knitting or beading alphabet patterns and one that's just a few of The Amazing Turnip Girl's favorite recipes with her tips.